Learn more about how Aquest Design, utilizing VS America furniture, helped transform a small space to allow for big ideas. 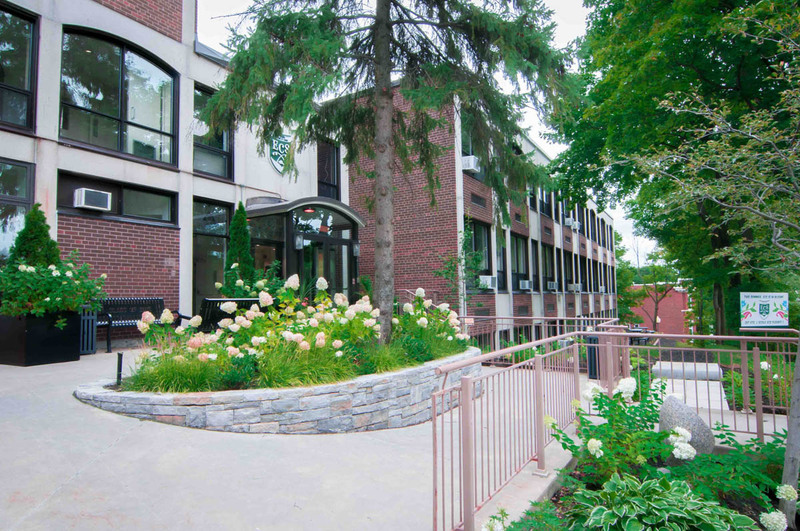 Miss Edgar’s and Miss Cramp’s School (ECS) is a private girl’s school in Westmount, Quebec in Canada, and it serves grades K-11. ECS has been experimenting with 21st century learning for a number of years in their junior school and wanted to progress this approach to the middle school level. The hurdle with creating a flexible learning environment in the middle school was the small classroom sizes – these classrooms are just 439 square feet and need to support 22 students. 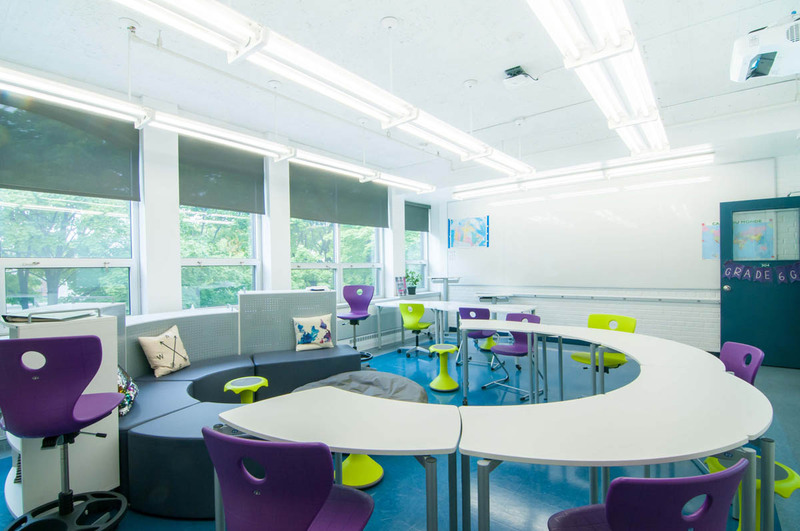 ECS reached out to Aquest Design, who specializes in forward-thinking educational spaces, for help in designing a space that would continue the learning methods that the lower grade students have become used to, but within the confined spaces they have available. 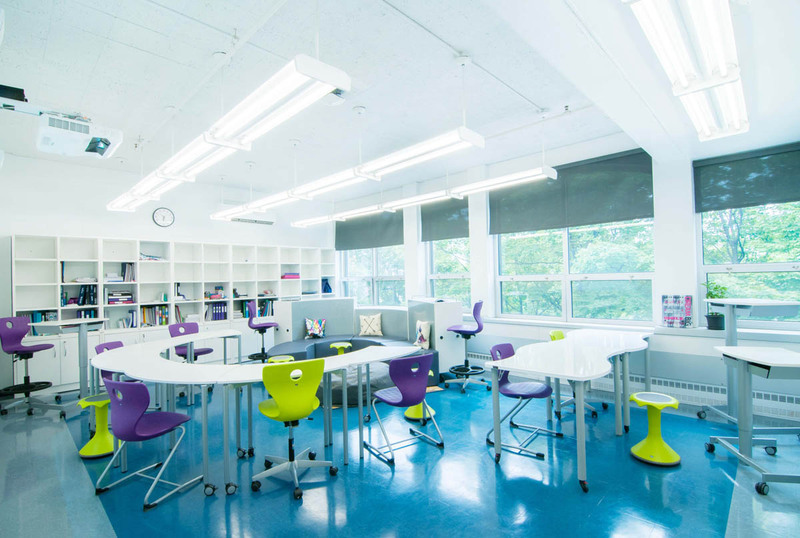 It was clear that ECS was ready for a room and furniture that would allow for multiple learning styles while offering the utmost flexibility to rearrange the room depending on the lesson plan of the day. Aquest Design knew from previous projects that VS America furniture would be able to transform the classrooms into agile environments. 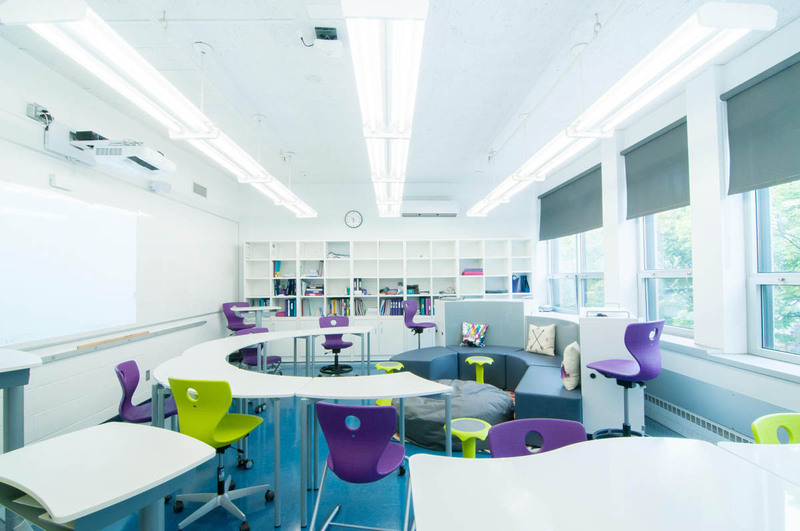 VS America’s ergonomic furniture inspires motion, and has the flexibility to adapt to every changing need – giving educators the freedom to easily create spaces for every type of learning style. 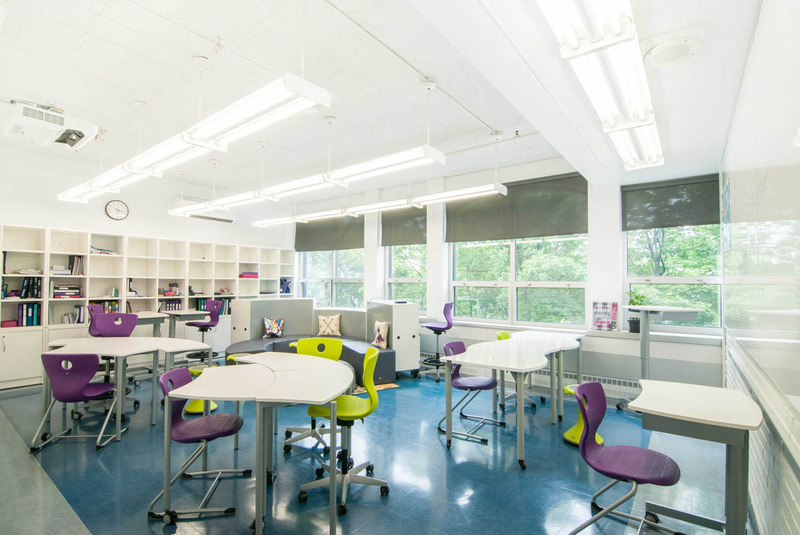 Due to the classroom sizes, it was apparent that ECS needed to go beyond the 1:1 student to desk ratio – stepping away from this model really opens up learning spaces and increases the classroom possibilities. To manage the storage need, wall storage was implemented along one wall. This storage allowed the actual learning area to be free of clutter and for ECS to really benefit from ergonomic, agile furniture, while still having plenty of storage space available. To free up as much space as possible, in the new design there is no designated teacher area in the classroom. To engage with the students in a one-on-one setting or in groups the teacher can use the mobile, height-adjustable Shift+ Interact to maneuver throughout the room as needed. Now the students enter their classrooms and can sit anywhere – and it’s quite amazing to see them in action. The space can quickly be used as a Socratic learning space, the soft seating is a more relaxed area, and window sills are a favorite. Since the teacher space is not defined, teachers will sometimes sit at the back behind the Shift+ Transfer shelving units, other times amidst the students. 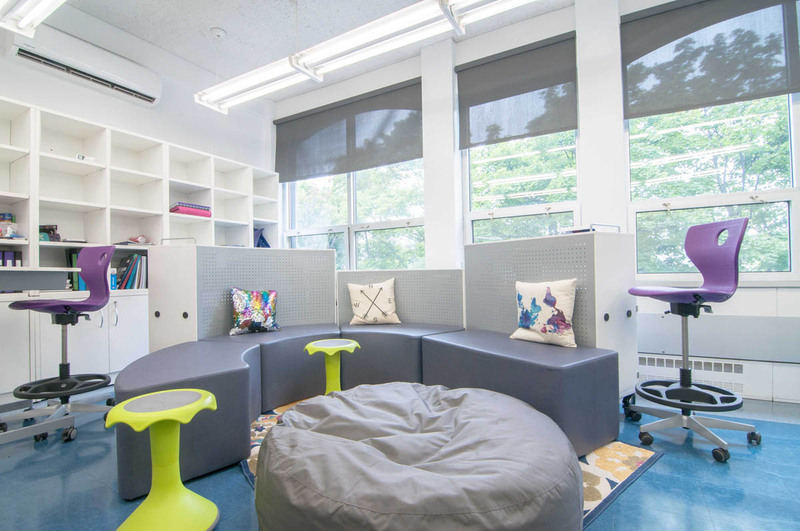 Working creatively to furnish and design the small space resulted in classrooms that are truly agile learning environments that meet the needs of each student and educator.